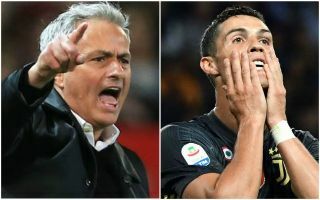 Manchester United manager Jose Mourinho has fired a warning of sorts to Juventus star Cristiano Ronaldo after a rumoured transfer to Old Trafford broke down this summer. Although Mourinho himself has denied ever being offered the chance to bring Ronaldo back to United, it has been claimed that the club’s executive vice-chairman Ed Woodward was willing to pay up for the Portugal international. However, Mourinho himself then vetoed the move as he did not feel it would be worthwhile, according to the Daily Mirror. Still, the Red Devils boss claims is simply wasn’t an option for him, and instead discussed the prospect of coming up against Ronaldo in this season’s Champions League. The 33-year-old is set to return to Manchester in the group stages after the two clubs drew each other in this season’s competition, and Mourinho has a warning for his former player. ‘Juventus is one of the teams in Europe who invested to win the Champions League, because they don’t need to invest to win the Scudetto,’ he said. ‘They win the Scudetto for six or seven years. The objective (by signing Ronaldo) is clearly to win the Champions League, which they were close twice when they reach the final, they are a top team in Europe that made one of the biggest spending, after Liverpool.